Can you believe it's been three weeks since my little E-man came into this world? I mean, he's practically a toddler now. Yes, that's an exaggeration—but as I marvel at how quickly Hannah is growing, I realize that it's not far from the truth. So how's it going? Still inching our way toward a predictable day. If I play my cards right, I get an hour or two in the afternoon during which both kiddos zonk out at the same time. If I'm not madly racing through some housework, I can be found at the kitchen table with my blogging notebooks and calendar. Our computer is in the basement. Evan's Rock 'n Play sleeper is not, so when he sleeps, I have to stay upstairs. (Translation: I need a laptop.) So I've taken to planning out posts the old-fashioned way. And then I run downstairs at some point in the evening when the kids are either sleeping or playing with my husband and type up/publish the post. But once Evan transitions to his crib (where the monitor is), things will be different. Until then, a girl's gotta do what a girl's gotta do. You're here for the discount codes. Note: If I can save you money on something fabulous, then you know I'll share whatever code I've stumbled upon—even if they don't produce a kickback. Such is the case with the first two codes. But as a Cocogo ambassador, I do receive product based on purchases made using my specific code. 1) Take 15% off all purchases at www.designsthatmoveyou.com with code GGS158. Momentum Jewelry is all the rage right now with good reason. 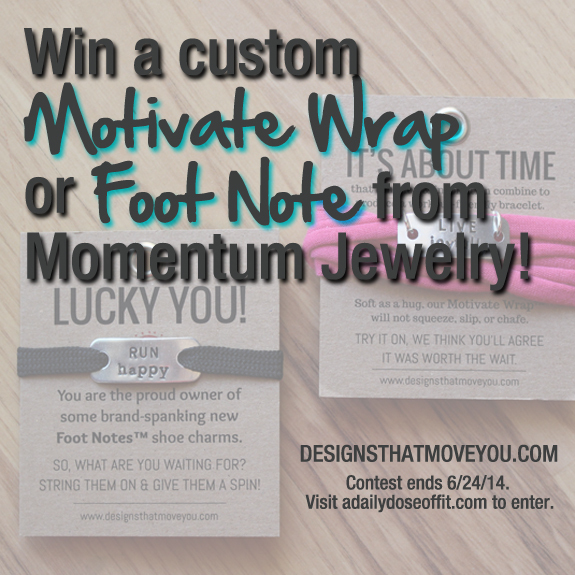 Fashion definitely meets function—and "free" if you win my giveaway. Enter now! It ends tonight (6/24/14) at Midnight EST. 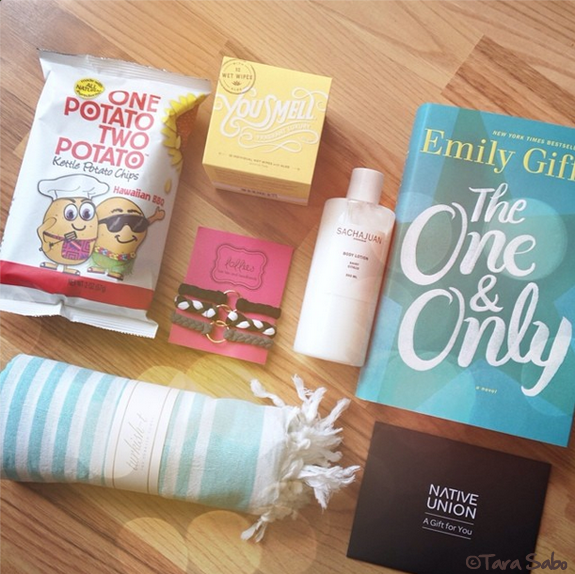 As a POPSUGAR Select blogger, I was given the opportunity to check out the June box. I have yet to make my way through all of the products within, but this monthly subscription service is slowly becoming one of my favorites. More on that in my "things I'm loving" post later this week. 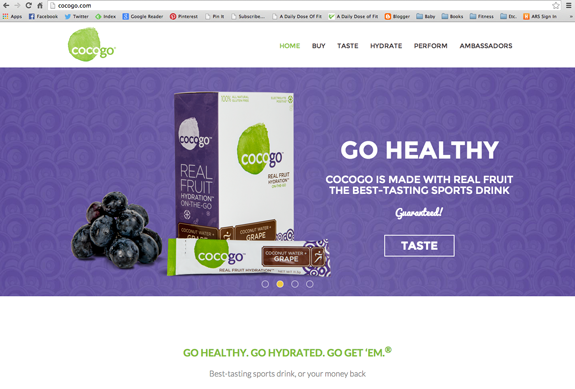 Cocogo recently relaunched their website, which happened to include an overhaul of their e-store. To celebrate, you get free shipping this week. Take advantage! It's summer, hydration is key. Especially if you're out there running in the heat. Speaking of running. You can find out more about me and my running game on two different website right now: Loving on the Run, and Another Mother Runner. Such a pleasure to be featured on two really great sites. Question: When did you start running? Why? May Recap / Hello, June!